Wash an entire head of cauliflower. With a paring knife cut away from the core, using as much of the cauliflower as you can and even the core chopped in smaller pieces. Place the large cauliflower pieces into 1 inch of boiling water and cover. Simmer until tender, about 10 minutes. With a stick blender puree, adding 1 tablespoon butter, 1/2 teaspoon salt and 2 Tablespoons heavy cream. 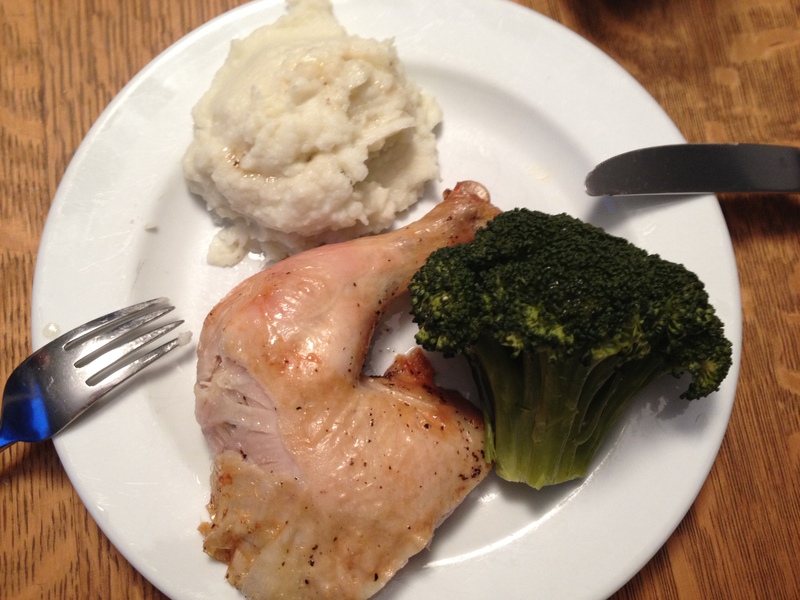 Posted in vegetables and tagged cauliflower, low carb, puree. Bookmark the permalink. 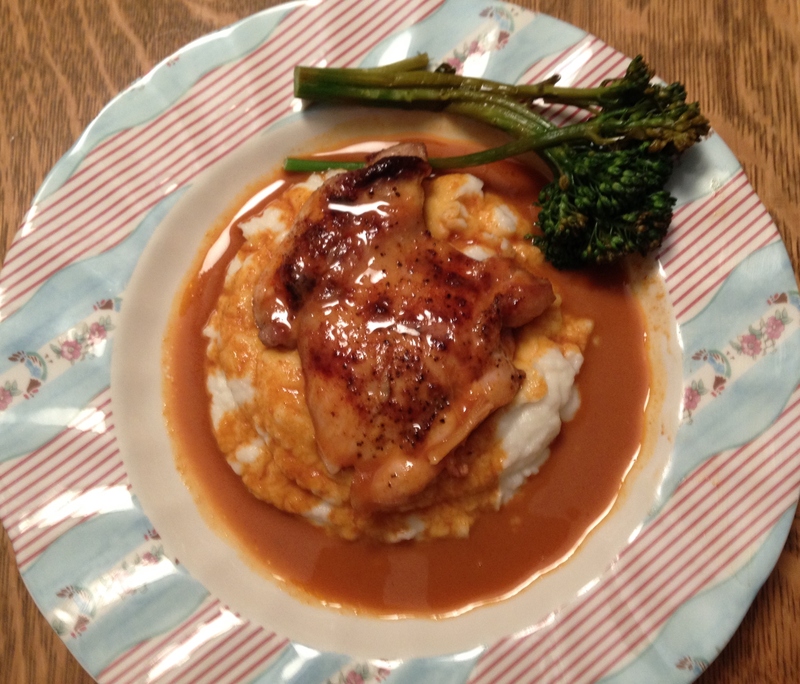 Nina, this cauliflower mash is delicious–really great flavor, different from mashed potatoes. The two of us finished the whole cauliflower head tonight–too good not to take seconds (thirds)… 🙂 This would be an interesting alternative at Thanksgiving for the usual mashed potatoes–thanks! Yum! Isn’t it a surprise!I made it twice last week! I have eaten similar recipes mixed with parsnip and or potato Cauliflower Mash is much easier and and lighter!